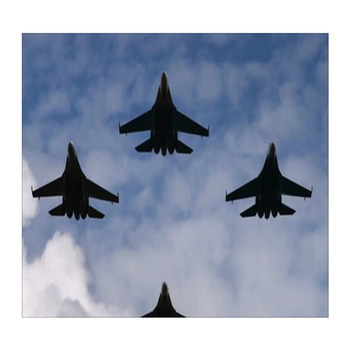 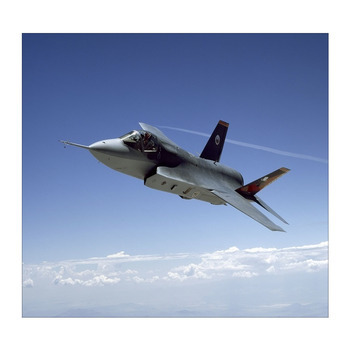 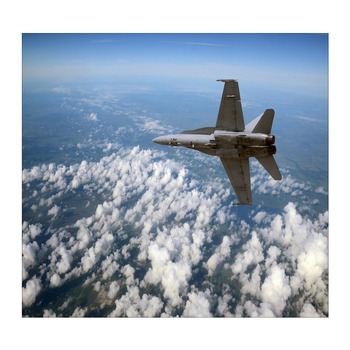 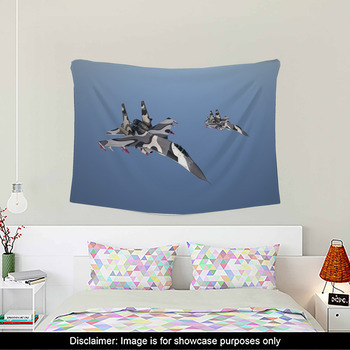 Jet fighters are some of the fastest, most technologically advanced machines in the world, and you can now enjoy them with our custom jet fighter themed wall decor. 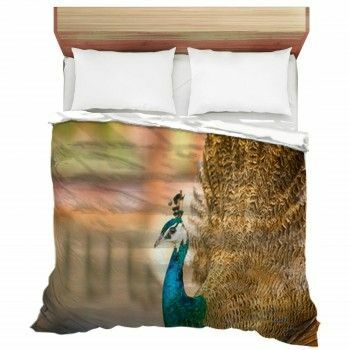 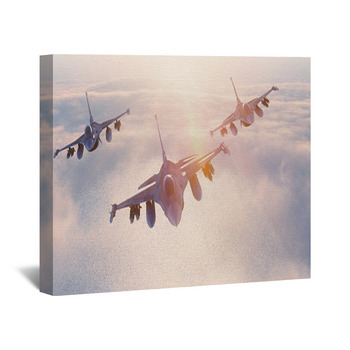 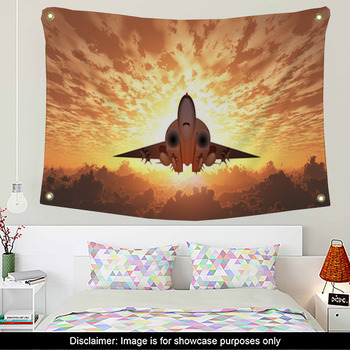 Add some action to your room by decorating your walls with posters or murals of an F-16 Fighting Falcon leaving two trails of smoke across the sky as its engine blasts out hot flames, an F-18 Hornet flying sideways in a cloudy orange sky, a Super Hornet ready to take off from an aircraft carrier runway, or a fighter jet making a vapor burst in a clear sky. 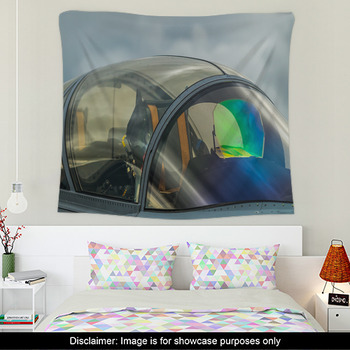 Choose wall hangings and wall stickers depicting a close-up view of the front end of an S3A Viking after it lands at sunset, two illustrated black jet fighters with one chasing and launching missiles at the other, or an in-the-cockpit view of a fighter pilot's helmet and mirror face shield reflecting the image of a cloudy sky. 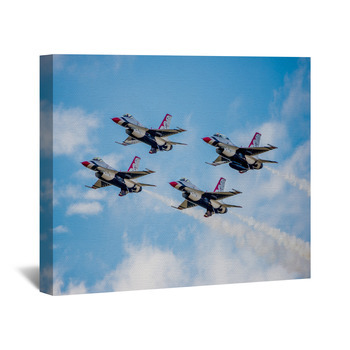 We also have wall decals and canvas wraps available for jet fighter designs such as two white F-16 Thunderbirds flying belly to belly over mountainous terrain, six Blue Angels flying their jets close together like a flock of birds, nine jets flying in a V formation and leaving trails of red, white and blue smoke, or four jet fighters soaring in unison over a huge aircraft carrier. 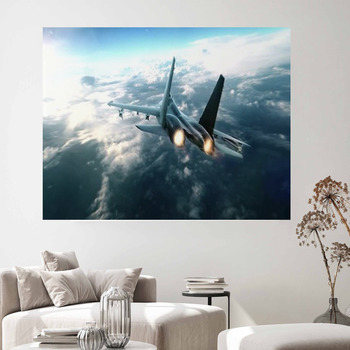 If you are a true jet fighter enthusiast, you will love our wall art displaying close-up photographs of a jet fighter's hydraulic system, the close-up of a WWII era fighter jet engine, a camouflage historic jet fighter, or a close-up of a missile-launcher on a silver jet with a red, white and blue bull's eye painted on its side. 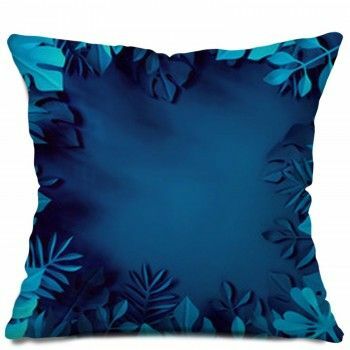 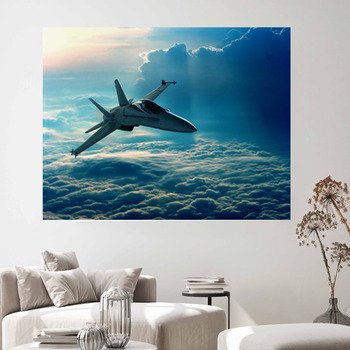 A jet fighter makes even the fastest car look slow, so bring out the big guns and make your bedroom into a cockpit with our jet fighter wall decor.